Often there is an itch to travel to get away from things or learn about a new way of life. A ‘find myself’ journey where you find some sort of enlightenment. But the truth is that you can transform your life and learn new things right where you are – you just need to change your perception. 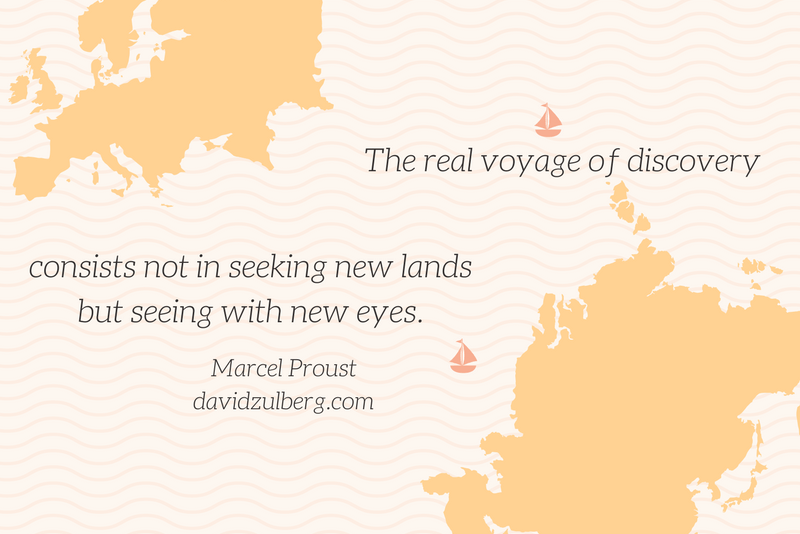 Look at the world and new challenges with new eyes. Although it all stays the same, your new mindset will have a completely different affect on your emotions and behavior. Events don’t shape your feelings, your views and belief system dictate your inner reactions.